A Michigan-based landlord of a 215-unit property in Colorado has been forced to settle a lawsuit brought by tenants over improper fees. The dispute erupted after the property manager notified tenants of the mobile home park that a water fee was going to be added to rent. However, the lease agreements, some of which were executed decades earlier, stated that the landlord would pay for water. One tenant protested the fee, going so far as to speak with news reporters, which garnered considerable attention. The landlord backed off the charges but failed to refund the fees already collected from tenants who initially believed they had no recourse but to pay. Those tenants later decided to take the matter to court, where they initially lost the case. But the tenants appealed and a higher court reversed the decision, paving the way for the tenants to retry the case. The landlord settled the case presumably to avoid another trial. The landlord agreed to pay tenants $112,000 representing a refund of fees collected, offer a moratorium on rent increases, and pick up the tab for the tenants’ attorney fees, according to a news report. Tenants say they hope their success will motivate others. Landlords who do not contemplate long-term renters. An example is allowing leases to revert to month-to-month even though the tenant may remain for many years. 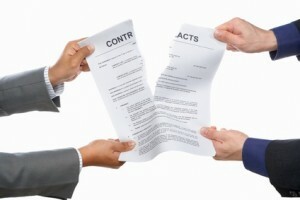 This can limit the landlord’s ability to renegotiate terms at lease renewal. In this case, the landlord acquired the property only a short time prior to the dispute with the existing leases in place. Landlords sometimes minimize the difficulty of modernizing a property where tenants have lived for such a considerable time under different management policies. Lease modifications can be tricky for any landlord. It’s important to remember that the tenant must consent in order for the modification to be valid. Blanket statements in house rules like “and any other rules that may be added from time to time” are not always enforceable. Anything that involves a greater burden for the tenant — like paying a fee — will be considered material to the original lease and cannot be changed unilaterally. Another pitfall of changing the lease is the fact that the new provision may not be valid even if the tenant agrees. Tenants who fear eviction or are under duress may not be held to the agreement. Judges want to know that the tenant receives in exchange for the additional fees or consideration provided to the landlord. When lease modifications affect several tenants, the cost of mistakes will skyrocket. Tenants talk to one another in person and on social media, and in short order an entire community will be ready to wage war on the landlord. Maintain the property to a high standard so tenants recognize the value of the lease agreement.